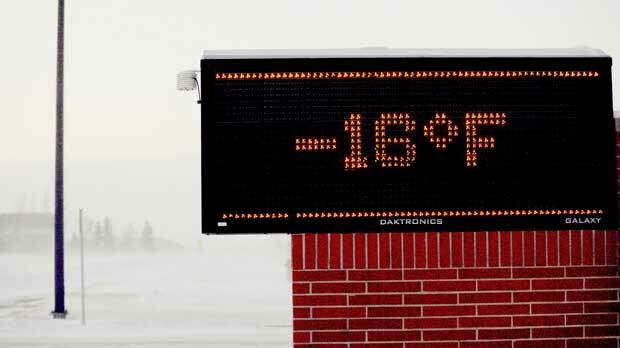 BISMARCK, N.D. (AP) — Winter’s sharpest bite in years moved past painful into life-threatening territory Tuesday, prompting officials throughout the Midwest to take extraordinary measures to protect the homeless and other vulnerable people from the bitter cold, including turning some city buses into mobile warming shelters in Chicago. The National Weather Service forecast for Wednesday night called for temperatures in Chicago as low as minus 28 (negative 33 degrees Celsius), with wind chills to minus 50 (negative 46 degrees Celsius). Detroit’s outlook was for Wednesday overnight lows around minus 15 (negative 26 degrees Celsius), with wind chills dropping to minus 40 (negative 40 degrees Celsius). Minneapolis charitable groups that operate warming places and shelters expanded hours and capacity, and ambulance crews handled all outside calls as being potentially life-threatening, according to Hennepin County Emergency Management Director Eric Waage. MetroTransit said it wouldn’t remove people from buses if they were riding them simply to stay warm, and weren’t being disruptive. “We’re bringing the warming shelters to them, so they can stay near all of their stuff and still warm up,” said Cristina Villarreal, spokeswoman for the city’s Department of Family and Support Services. Closing schools for an extended stretch isn’t an easy decision, even though most school districts build potential makeup days into their schedules, said Josh Collins, spokesman for the Minnesota Department of Education. Many people on the Standing Rock Sioux Reservation in the Dakotas live in housing that’s decades old and in disrepair, or in emergency government housing left over from southern disasters such as hurricanes. “They aren’t made for this (northern) country. The cold just goes right through them,” said Elliott Ward, the tribe’s emergency response manager. The extreme cold was “a scary situation” for the White Earth Band of Ojibwe, said Chris Fairbanks, manager of the northern Minnesota tribe’s energy assistance program. “We have many, many calls coming in. We’re just swamped trying to get everybody what they need,” she said. Associated Press reporters Caryn Rousseau and Don Babwin in Chicago, Corey Williams, David Runk and Mike Householder in Detroit, and AP Science Writer Seth Borenstein contributed to this report.